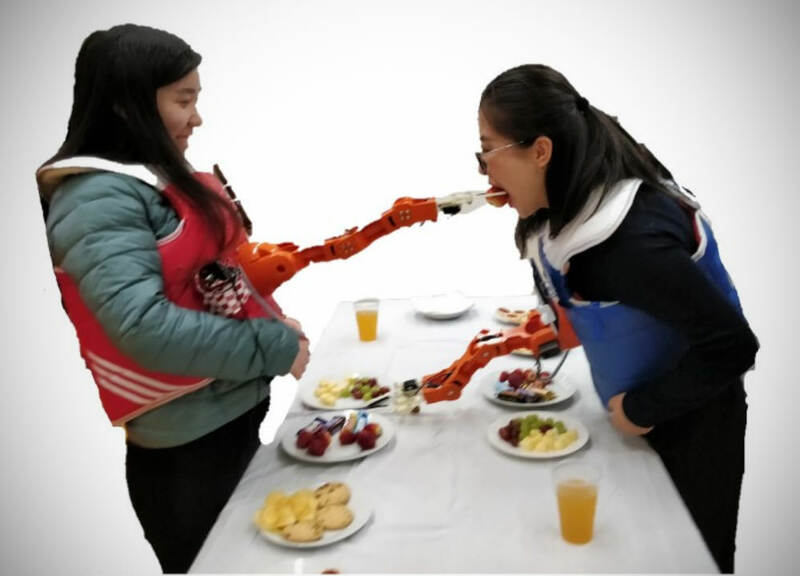 Arm-A-Dine, developed by researchers at RMIT University’s Exertion Games Lab, is a prototype chest-mounted robotic feeding arm of sorts that is designed to augment the social experience of eating. 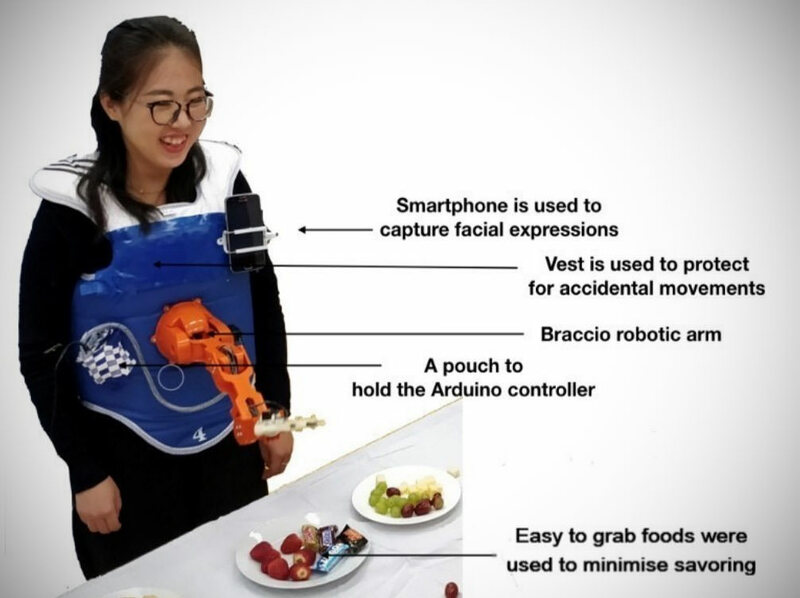 This contraption not only grabs food from the table, but also decides on who to feed it to, thanks to a facial recognition app running on an attached smartphone. That’s right, it scans your partner’s expression and only feeds them if they’re smiling, while a neutral expression causes the arm to hover ambiguously in the middle. Read more for additional pictures and information. “Arm-A-Dine is not a commercial project (at least not yet) and the limitations of the hardware are obvious. The arms can only grab certain items, have limited degrees of movement, and don’t seem to be that accurate when it comes to actually feeding people. 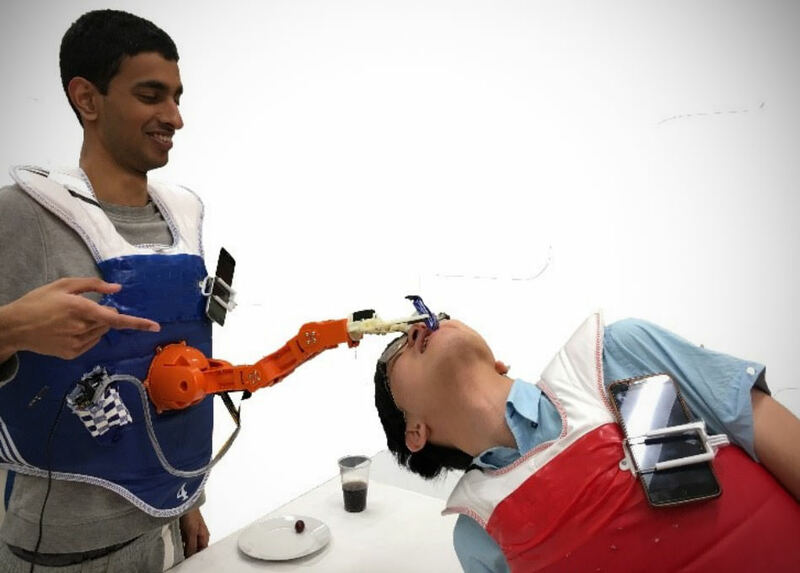 Testers even embraced the clumsiness of the arm itself, as it meant they had to work around its limitations and engage with the person opposite, rather than just relaxing and being,” reports The Verge.